On Thursday, I rocked up to the pier next to the Caloundra Powerboat Club. Charlie from Blue Fleet Cruises greeted me and helped me aboard his boat. Soon enough Jennifer, my beautiful bride arrived with some family and boarded. 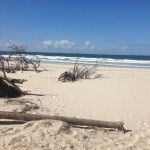 The five minute boat trip was refreshing and delightful and Jen was excited about seeing her groom who was already at the very tip of Bribie Island. 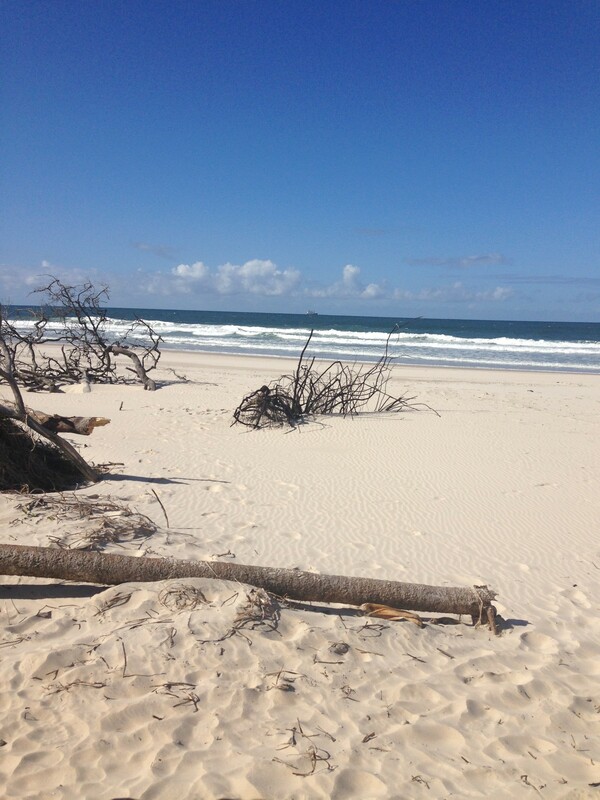 Yes, Bribie National Park! What a find. 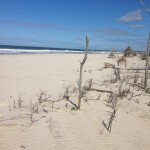 We beached and made our way to the ocean side of the National Park (a 30 second walk through sand) and OMG what a find. Pristine white sands, roaring blue waves and NO people. The boys had set up a wedding arbor and Adam waited nervously. 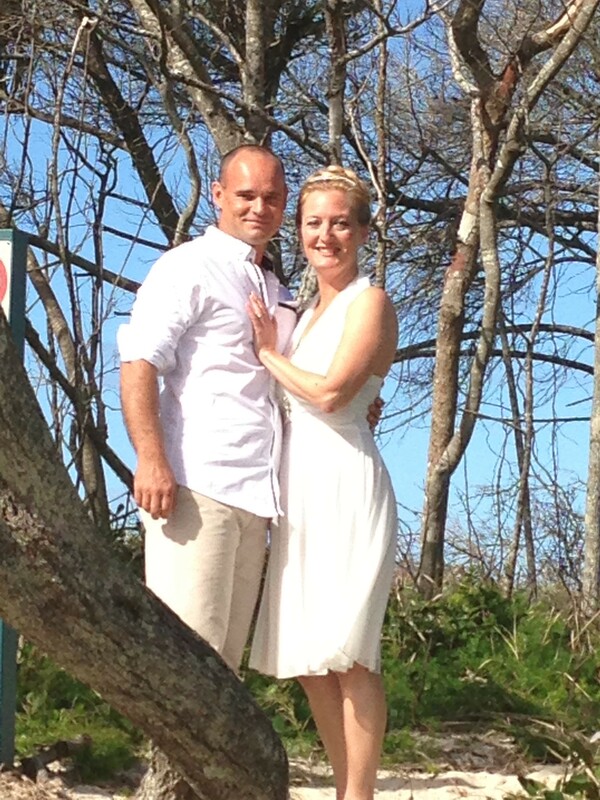 We had the sound of the ocean thundering as the walk down the aisle music, with a few bird songs thrown in. The ceremony was lighthearted and fun (and very emotional) and was over quickly. Lots of laughs – lots of love. After the signing I waved goodbye and was back on the boat for a lovely trip back. The guests stayed and enjoyed some celebratory bevvies and the beautiful scenery. Charlie picked them up a bit later and took them back to civilisation again. Apparently, not many weddings happen here (well I’ve been doing this for ages and I didn’t know it was possible). Charlie can take 8-10 adults at time and because the trip only take 5 minutes, he can do several round trips to pick up extra guests (and the cost is great too). So, if you’re wanting a small, intimate wedding on the Sunshine Coast and want something that’s a bit different I’d urge you to consider this option. 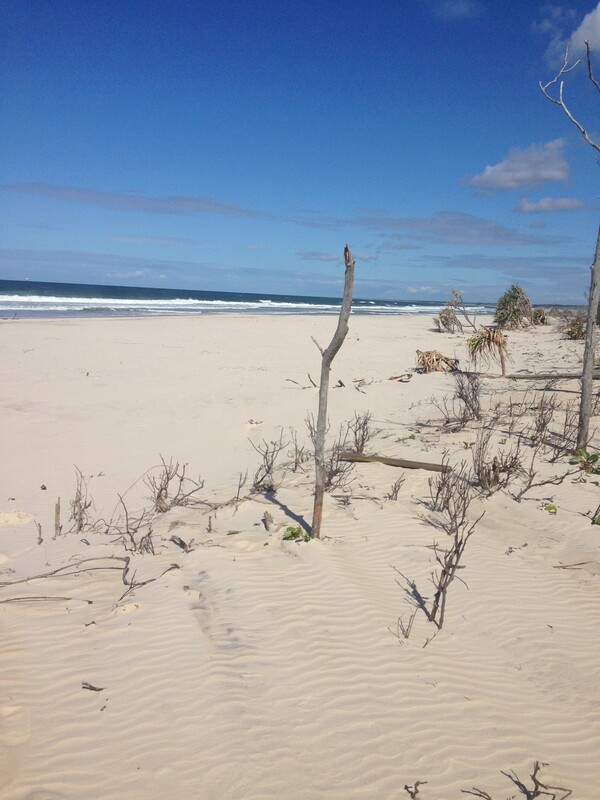 From Golden Beach the Bribie National Park looks a bit average – its the other side, the ocean side that’s beautiful. Well worth looking into! 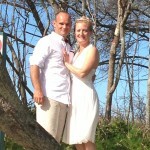 Previous PostPrevious Where to get married on the Sunshine Coast?